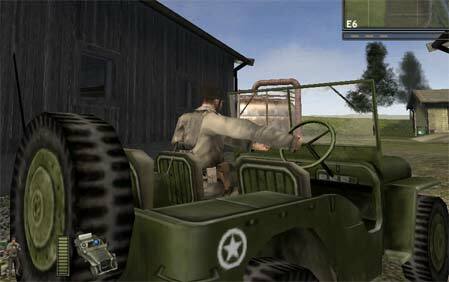 Vehicles for Battlefield: 1942 and Battlefield: Vietnam are a combination of textures, models, and sounds. Vehicles are defined in plain-text.con files, and stored in the objects.rfa archive file. 1. If you haven't already installed the 3ds max® toolset from the Battlefield Mod Developement Toolkit you will need to run the installer program. You can press the install 3ds max® tools button from the Battlefield Mod Developement Toolkit front-end. The next time you load up 3ds max® and you will find a new menu named "Battlefield Tools". Select "Vehicle Import/Export" from the "Battlefield Tools" menu. Press the Load Mod button and select your game's .exe file from the game's install folder (see the next step below). Press the refresh button to show your newly created mod, the select that mod from the list and press ok. Choose the game's .exe file to set the path to the game. After your mod loads up, you should see something similar to below. Select VCLand from the drop down list, check Only Mobile Physics (excludes stationary weapon/vehicles from the list). Check show preview to display the vehicle's icon image (if it has one). Select the willy, or another wheeled vehicle that has a steering wheel visible then press Import Vehicle. With the vehicle imported into the scene, select the steering colum, then open the select objects dialog. In the select objects dialog you want to check Display Subtree to show the scene hierarcy. Select the highest level of that steering wheel tree (the one that stops indenting and still has the name "steering" in it). With the move tool, move the steering wheel to the other side of the vehicle. Back in the vehicle import/export rollout press Save Changes. Load up your mod and go find the vehicle you modified. You can see the result in the screenshot below.